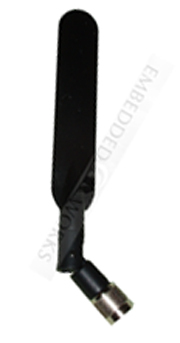 This unique four frequency (2.4 / 4.9 / 5.2 / 5.8 GHz) antenna works with 802.11a/b/g radios. The added 4.9 GHz band allows for operation in Japan as well. Note that this has a TNC connector, instead of the RP-SMA which is more common.